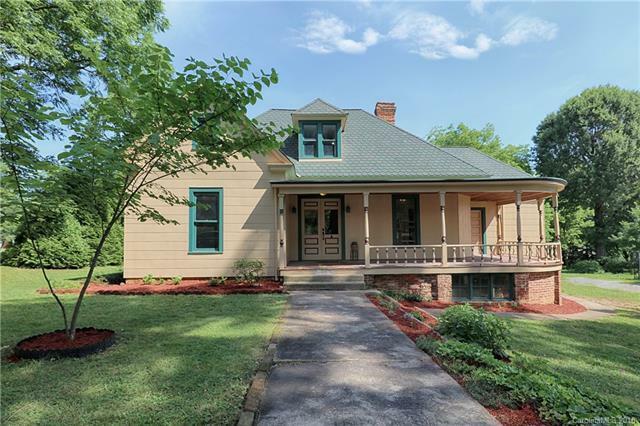 Check out the VIDEO tour https://youtu.be/I_x7C4MMyTU Own a piece of history with this home that is listed on the Historic Registry, located in the Academy Hill District of Statesville. Lots of character and charm in this 1895 home, which originally housed a 1-room schoolhouse upstairs. Now converted to a second owners suite. Interior has been completely updated, including electric and plumbing. You will enjoy the gorgeous, brand new kitchen, with granite counter tops. Plenty of space for moving around and entertaining. Enjoy sitting on your wrap around front porch or take a stroll in your park like fenced back yard. Schedule your showing today and see what a lovely home this is!